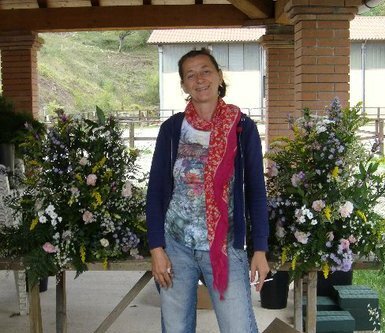 My name is Ilaria Marsili, I am a local guide since 2000. When I was young and reflected upon what to study I realized that my main interests were two: Human beings and history. So I chose to study History and Social Anthropology. During my life as a student I travelled and lived abroad getting in touch with different people and cultures. Coming back home to dispute my graduation thesis I suddenly realized how much I had missed my city and how deeply fond of it I was. Rome is just “unique”: it is great, sprawling, confusing but marvellous. It is so rich in history and works of art that even a lifetime is not long enough to know and appreciate what the city has to offer. Me and Giuseppe have two beautiful children. Giulia is the older, she's smart, witty and sensible. Gabriele is the baby, even if he's growing up quickly, he's bright and constantly smiling .. an angel ! I like to cook for my family and friends, everybody invited always enjoy my Italian meals! I'm an excellent florist: if one of my friends gets married I'll take care of all the floral arrangements ..and the bouquet! I love to read books, to me is pure relax and luxury... and I love to study too. One of the attractive aspect of my job is never give up learning more about Rome. My favorite sports are skiing and fishing. 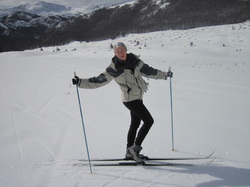 In winter-time we ski, while from spring onwards we fish. 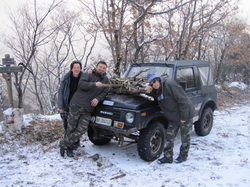 Otherwise we'll go to our retreat in the Apennine mountains to walk or bike. I love to share with my guests my knowledge and enduring delight in the Eternal city. My aim is very simple: for you to become Rome addicted as I am, and take the best advantage of your time in town. My University background helps me being sensible to cultural differences and handling groups composed by different personalities.